Initial construction will be harder for the rest of your shed if you don't build the floor right. Dangerous conditions will continue to crop up. 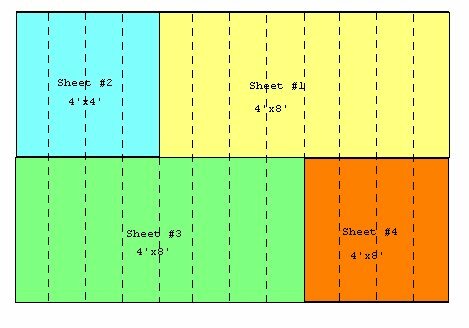 Proper Shed Floor Construction is Crucial! There is more than one way to build a shed floor and this is how I build my wooden shed floors. The following instructions refer to different terms like band boards, rim joists, floor joists, and skids. If you are unsure of what those terms are please have a look a my shed floors page. 1. 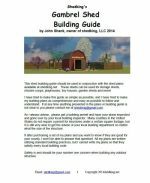 Check your local building codes if you haven't already to determine what type of anchoring you need to do for your shed. 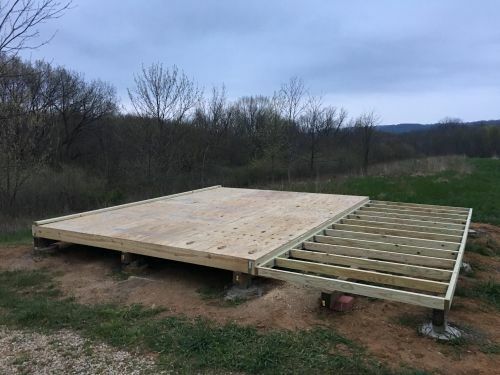 When building your shed floor its a great idea to check your local building codes. Make sure whatever is required by your county that you follow their guidelines. 2. Gather the proper lumber to cut your floor joists, rim joists, and 2 two band boards and 4x4 skids. Cut all floor joists to proper length along with your 2 rim joists and two band boards and skids. Also, cut your 4"x 4" skids to length. 3. After cutting all lumber, mark off your two band boards for joist layout at 12" on center. 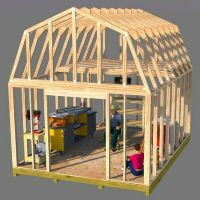 Assemble the frame using 16d galvanized common nails, making sure to check each joist for crowning and install it with the crowned edge up. 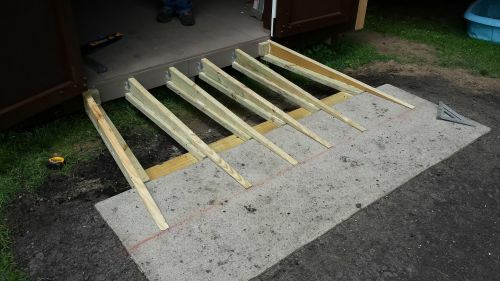 Building your shed floor on skids. 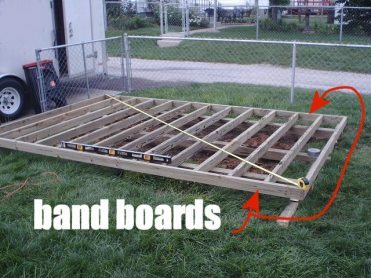 when laying your decking down, your edges will fall right in the middle of your joists for easy nailing. 5. 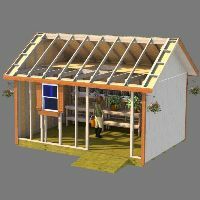 Whichever method you need to use for anchoring your shed should be done at this step before laying down and nailing your floor sheathing. 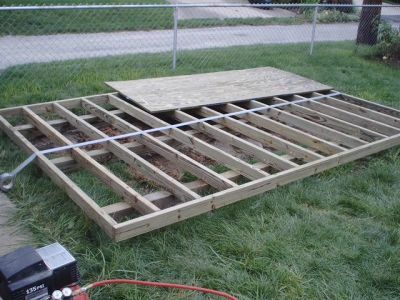 Stagger your floor sheeting when building your shed floor. 6. Now lay out your floor sheeting starting with one of the front corners first. The reason for this is that you want the front part of your floor looking nice. It's the first thing visitors will see when stepping into your beautiful new shed. Use 8d galvanized box nails driven every 6" along the edges and every 12" in the field. 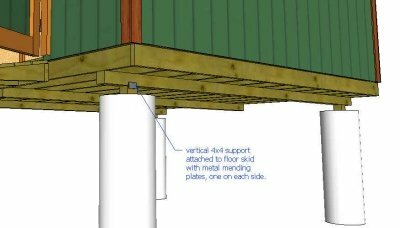 Adding a ramp to your shed floor. It's easy to add a ramp to your shed floor. Many sheds will serve the purpose of having a place to store riding mowers, 4 wheelers, outdoor equipment, etc. You'll want to build a ramp to make it easier to move these items in and out of your shed. Thinking about a concrete shed floor? 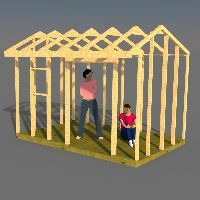 More information about how to build a shed.